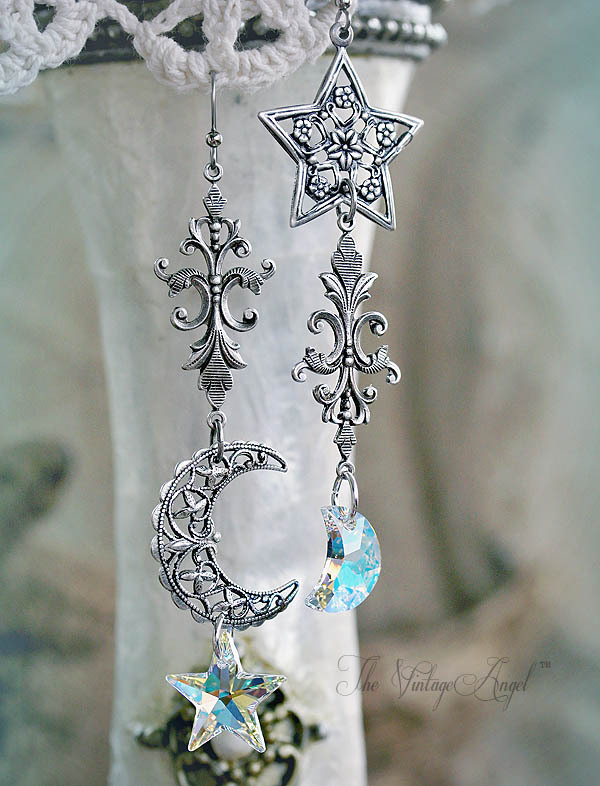 Extra long, dangly asymmetrical show stoppers with celestial flair! 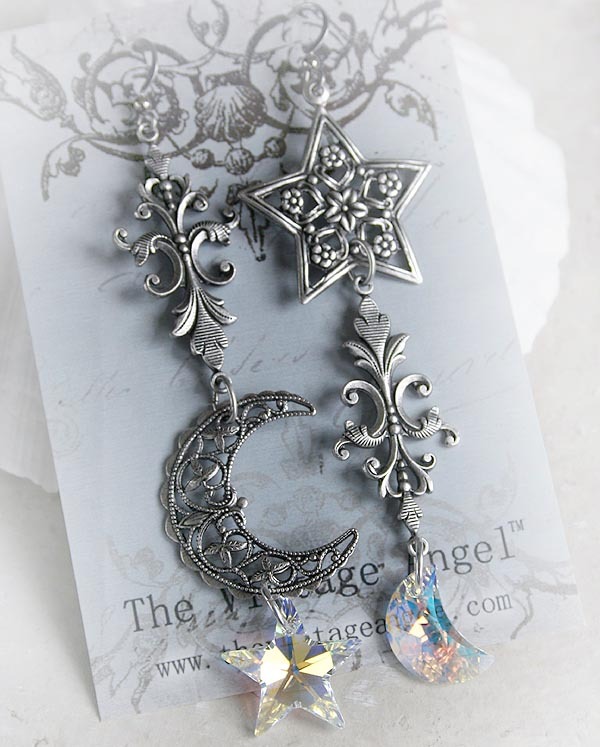 These beauties are nearly 4" long including the hooks, but are light and comfy to wear. 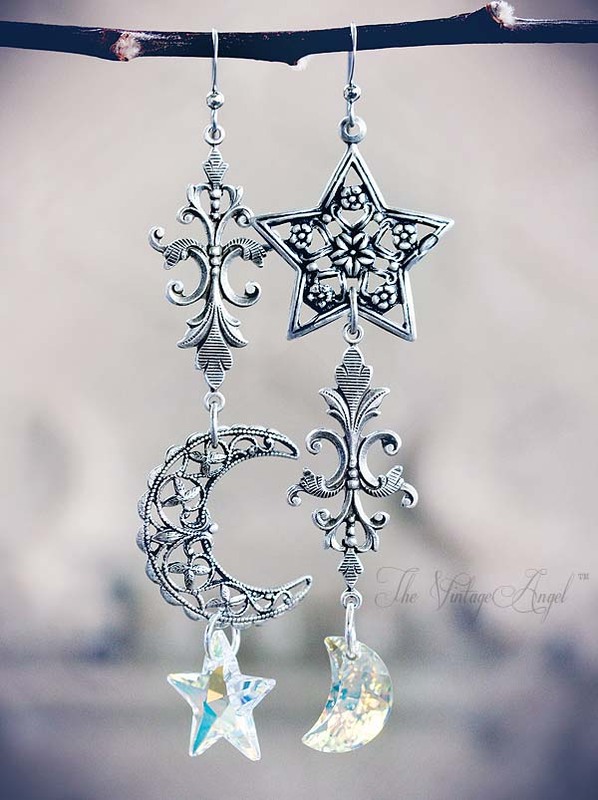 Swarovski moon and stars with aged silver...for the unique you! Not quite 4 inches long including hooks.